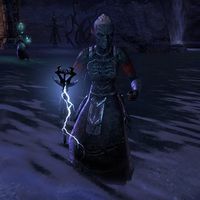 Spiderkith Enervators are hostile Spiderkith storm mages that are associated with Mephala. They can be encountered in Crypt of Hearts II, the Cradle of Shadows, and the Spiral Shadows round of the Maelstrom Arena. 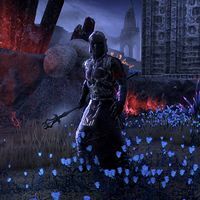 Edge of Darkness: Release the Crypt of Hearts from Mephala's grip. "Now you will feel pain!" "I'm going to enjoy this!" "Let's get this over with." This page was last modified on 5 January 2019, at 22:42.